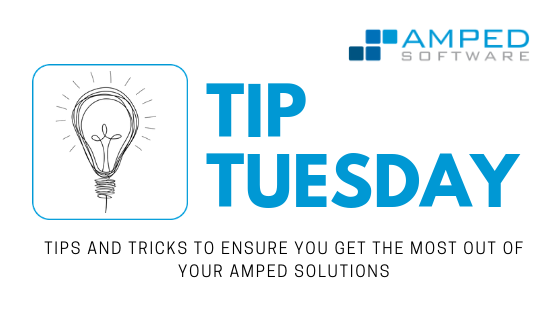 Hello Amped friends, welcome to this week’s Tip Tuesday! Today we’ll focus on a feature that is intrinsically part of Amped FIVE since always but is often overlooked by users. I’m talking about the possibility of changing parameters of a filter that lays at the beginning of a long chain while watching the effect on the final output. The “while” in the previous sentence is not incidental… it can save you lots of time and help you reach much better results! Let’s see what this is about. 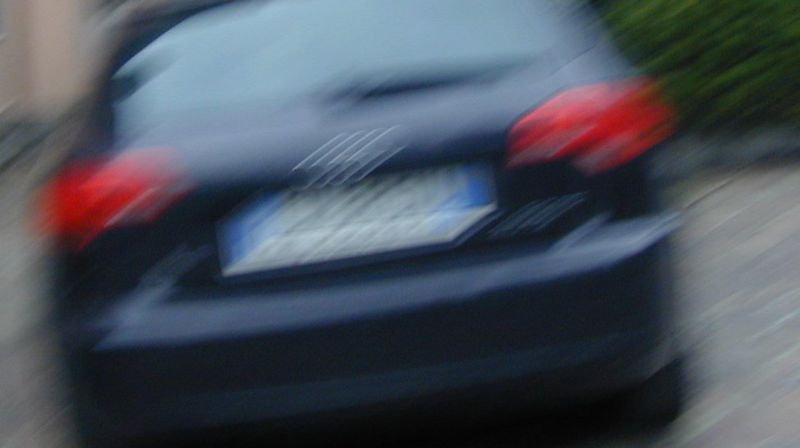 We’ll use this image (if you have Amped FIVE installed, it is available in your Samples folder) as a working example: not surpisingly, we are asked to enhance the license plate. Okay, that already seems like a great result compared to what we started with. But let’s say we want to make our boss very happy, so we’ll also use Correct Perspective to obtain a rectangular plate, improve readability using Levels, remove some color artifacts using Hue Saturation Value, and finally increase readability with Unsharp Masking. Ok, now it’s even better… but a dramatic doubt assails us: what if we had dedicated more care to set the Motion Deblurring “size” and “angle” parameters properly? Would we see something better? Now, if we were using another software, we would have to undo all previous steps, change Motion Deblurring parameters, then add again and reconfigure all the filters after Motion Deblurring, see if it’s getting better, and iterate again and again. If you ever tried it, you know how time-consuming and frustrating this can be. 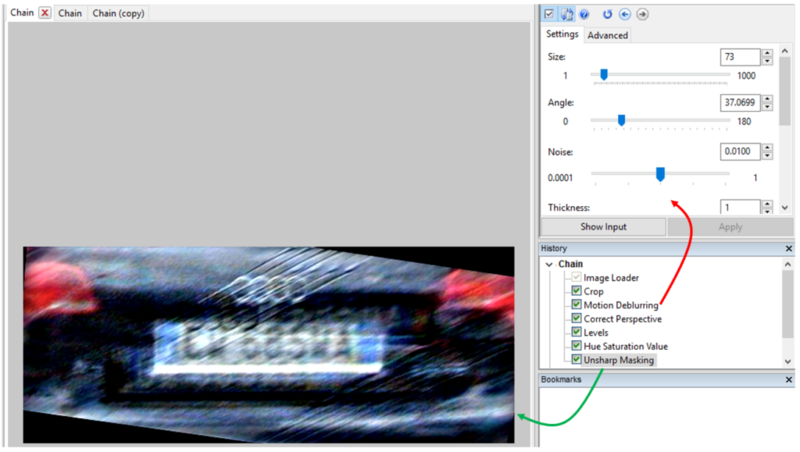 Play as much as we want with Motion Deblurring parameters, and directly see the impact on the final result! In less then one minute, we get the improved output below, which is much better than our initial result! Change the settings of a Stabilization filter (e.g., switching from Static to Dynamic tracking) and watch the rest of the chain automatically update accordingly. Remember, though, that this approach may not be appropriate when you change a filter that alters pixels position (most of these filters are under the Edit category): for example, if you add/reconfigure a Resize filter, the location of all pixels changes from that point of the chain on, making any following region selection outdated. We hope you enjoyed this Tuesday Tip! Stay tuned and don’t miss the next ones. You can also follow us on Twitter, Facebook or LinkedIn: we’ll post a link to every new Tip Tuesday so you won’t miss any! This entry was posted in FIVE, Tip Tuesday on March 26, 2019 by Marco Fontani.